January celebrates world introverts’ day; the irony of a special day for introverts I’m sure won’t be lost on many of you! This special day was instigated back in 2011, a year before Susan Cain’s famous TED talk about the power of introverts. This day was originated as a tongue in cheek way for introverts to rest and recharge after too much enforced socialising over the Christmas and New Year holidays and a way to recognise a much-maligned group in our society. Fascinating fact number one: The world is full of introverts, some of which were/are the most powerful and pivotal people in history. To name a small selection, think: Albert Einstein, Eleanor Roosevelt, Abraham Lincoln, Rosa Parks, Gandhi, Bill Gates, Mark Zuckerberg, Sir Isaac Newton, Larry Page, JK Rowling and the list goes on. What’s The Make–Up Of An Introvert? Current data and evidence suggests that anywhere between a third and fifty percent of the population are introverts. Consequently, even if you’re not an introvert yourself, you likely work with, are managed by, or are married to an introvert; oh, and they make amazing best friends too. It’s critical to know and understand the makeup of an introvert and the many contributions they make to our organisations. Even dictionary.com falls into the trap of not understanding introverts, making the outrageous claim that they are shy, reticent people. To clarify, shyness has its heart in fearing social disapproval, whereas an introvert is someone who prefers calm, minimally stimulating environments. 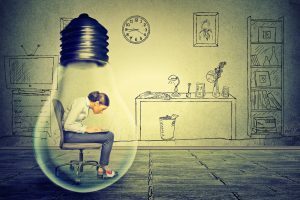 A critical aspect of the makeup of an introvert is they regain their energy by spending time alone; not always respected or understood in a world that appears to be dominated by extroverts who need company and thrive in group settings. Though this isn’t a political statement, the world desperately needs the many values introverts bring. What a challenge it is when we’re surrounded by world leaders who appear not to think in-depth about the impact of their actions on their voters; of course, I am sure this isn’t replicated in your organisation! Pretty useful wouldn’t you say, when for many organisations the decision-making process is rushed and based on minimal data? A great description I heard about introverts and extroverts from Kevin Quigley, the Innovation Psychologist, is that introverts “think, talk and then think” whereas extroverts tend to “talk, think and then talk”. If you don’t know what an extrovert is thinking, he says, you haven’t listened. Whereas if you don’t know what an introvert is thinking, you haven’t asked. Here at Excel Communications, we run Social Style training programmes which help both individuals and teams understand communication preferences. 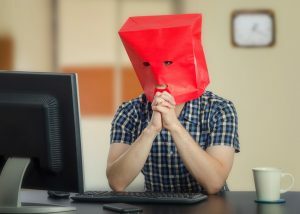 It’s still fascinating to watch certain participants appreciate what they have been missing all these years from their incredibly bright introverted co-workers. So why then is both our educational system and business landscape set up to make introverts struggle rather than thrive? Possibly because over 96% of leaders and managers self-identify as extroverts, which leads to an imbalanced leadership team who naturally create environments aligned with their preferences. In organisations today, brainstorming, constant collaborative working, and open plan offices are commonplace. All set up for the extroverts to thrive in our organisations, even though there is now a huge cohort of evidence that reveals open plan offices kills both productivity and creativity. If that wasn’t reason enough for you to consider alternative options and to embrace differences in your workplace, our ‘open’ space, back-slapping, everyone-together environments are associated with higher staff turnover too. Appreciate and embrace the difference your introverted team members bring is a logical first step. Maximising the strength of all your workforce will bring you improved results. Brainstorming or working in groups doesn’t need to stop. Instead, flip the coin and look at enabling people to go away from the situation or project in question and think, talk, think and then talk again. You might be surprised at the difference this will make to the ideas you now have on the table. Finally, look at individual development workshops or programmes like Social Style that give everyone in your organisation an understanding of difference and the many benefits it brings to the results your organisation could achieve.